To jump ahead, because this would be ridiculous postponed much. 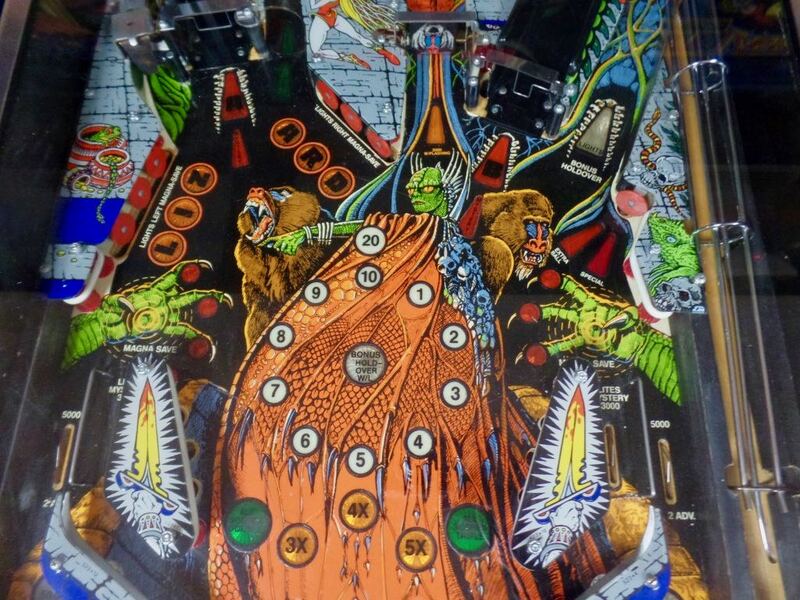 Tuesday was the last night of the regular season for Lansing Pinball League, and since it was Halloween Week, bunny_hugger declared there would also be a Pinball League Costume Contest. She was terrified that she might be the only person to go in costume --- well, I'd go too, surely --- but what if that was it? Still, she committed to the contest, and even ordered trophies, three broom-riding witches. I confess to using the simplest costume I could: dressing in the red panda kigurumi which bunny_hugger gave me for Christmas. Work has been a series of crises that ate up any time I might have spent on something more elaborate, and even if not for that, the stomach flu and the double barrel of back pain I got wiped out workweeks. And then our two amusement park trips --- reports to follow --- ate up more time. Still, I did try to augment the simple kigurumi by including nice black nitrile gloves (I couldn't get the claws bunny_hugger sculpted to adhere to the fingers) and some face makeup. The gloves I'd got a while back from a garden store. They're cheap and they look very procyonid-claw by nature. But then I was torn by how to answer people asking what I was dressed as, because I was going for coati, obviously, but the dark of the belly implies red panda. 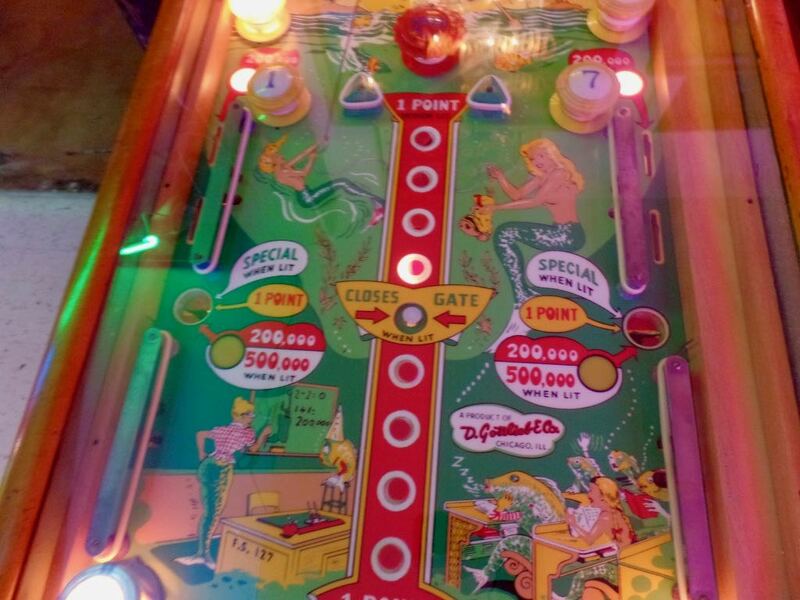 I explained this to CST, the pinball superstar of our league and a veterinarian. He knew what coatis were, and had worked on them. What I've never figured out is how he knew I had any connection with them. bunny_hugger's contest was a hit. Many people dressed up. Most striking were two of the newer women in the league who went as the Shining Twins. They even had a ``Come Play With Us Danny'' sign, which was great because there is someone named Danny who sometimes plays in the league. He wasn't there. Our friend MWS came dressed as a ``generic mad scientist'', as he got the flu and couldn't work out the problems in the costume he wanted to dress. He even included a toy Mogwai, and was spending the night explaining that no it was not a Furby. Kids. What MWS had wanted to dress as was CST, our league's superstar. He couldn't make it. But one of the folks from Grand Rapids did. (Another came dressed as an Indian Groom, in a really quality-looking outfit.) And then ... the league's organizer and president, WVL, came dressed as CST to the hilt. He didn't just dress like CST. He even shaved his head so his hair matched CST's. And he strapped a pinball trophy around his neck for the show. The real CST looked at this and jaw-dropped, muttering something to the effect of ``oh good lord'' and laughing overwhelmed by this. 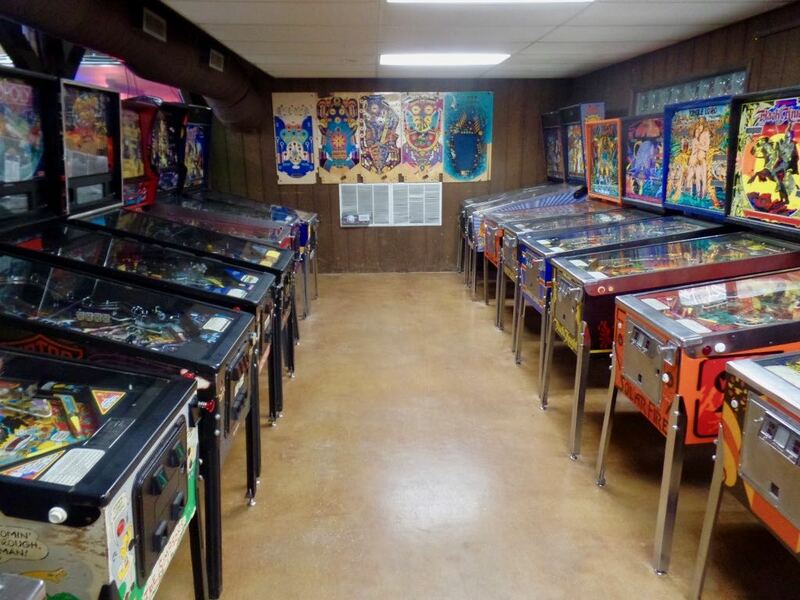 I have to say, playing pinball in gloves is a different experience. I had a mediocre night overall, but had a great Addams Family so there's that to lift the spirits. Trivia: The eleventh month of the Babylonian calendar, Abbae, was dubbed Shabatu in the Semitic calendar and Dystros in the Seleucid calendar. Source: Mapping Time: The Calendar and its History, EG Richards. Currently Reading:	 Voice and Vision: A Guide To Writing History and Other Serious Nonfiction, Stephen J Pyne. PS:	Reading the Comics, October 29, 2015: Spherical Squirrel Edition, with some mention of spherical cows too, and why that isn't silly.